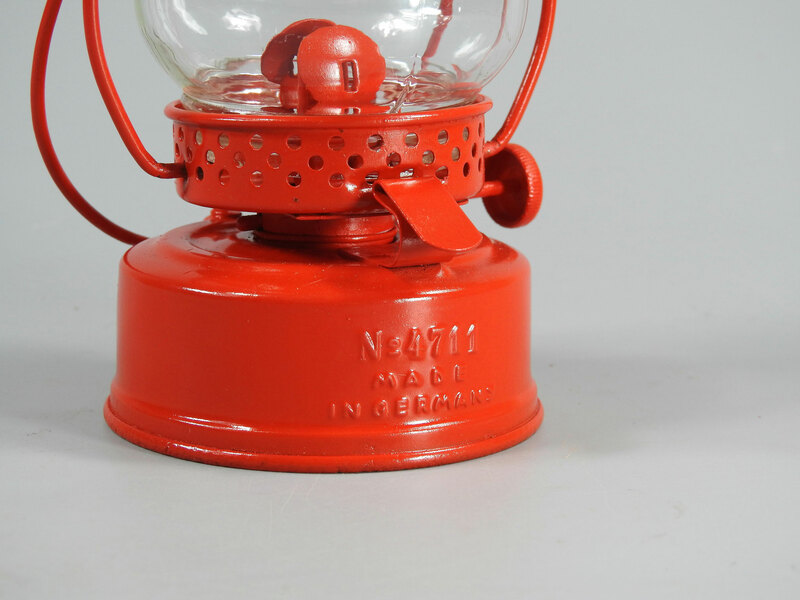 This is a very interesting version of the model Nr. 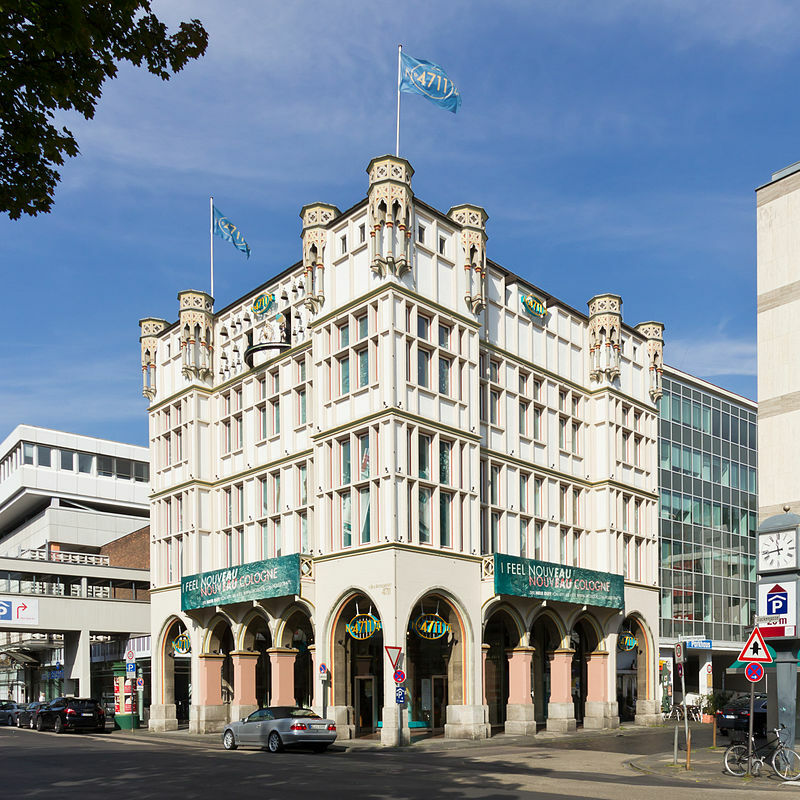 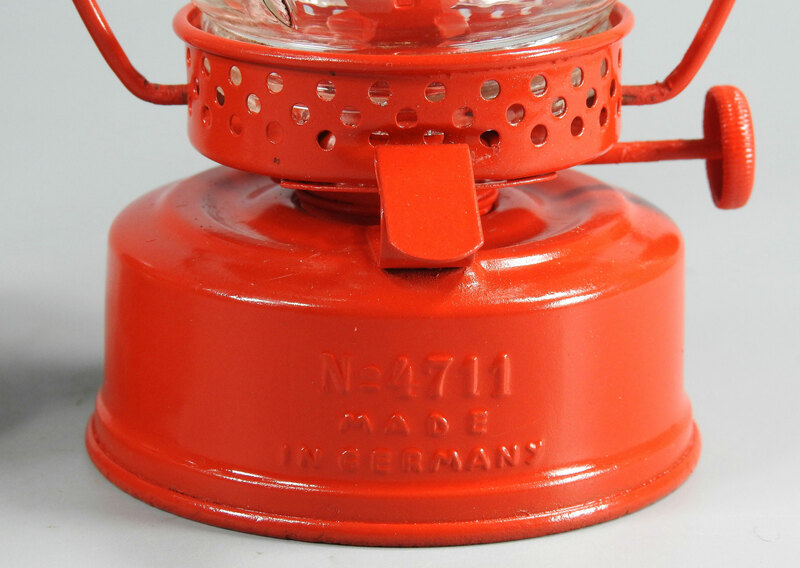 4711 by Otto Müller. 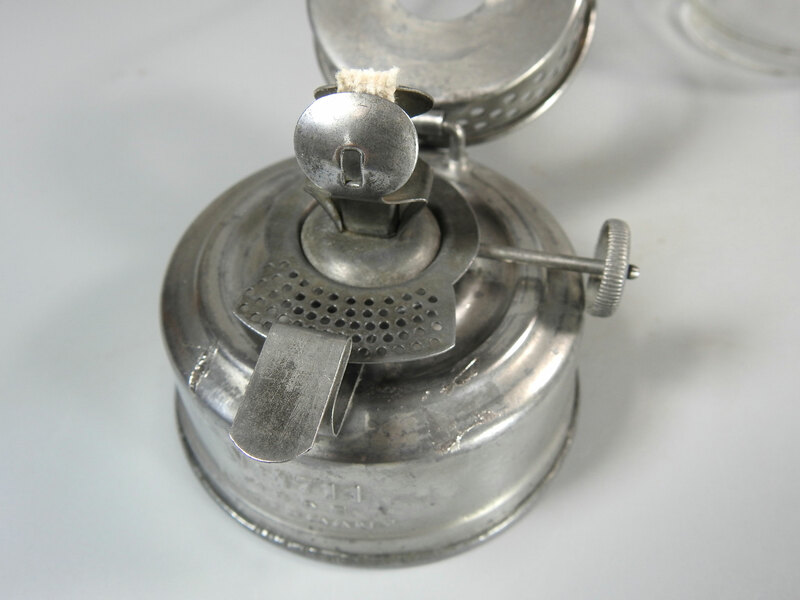 Inside both of the caps, you can see multiple stampings by Camerco (Carl Meyer) and Otto Müller. 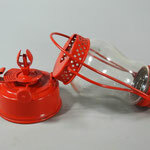 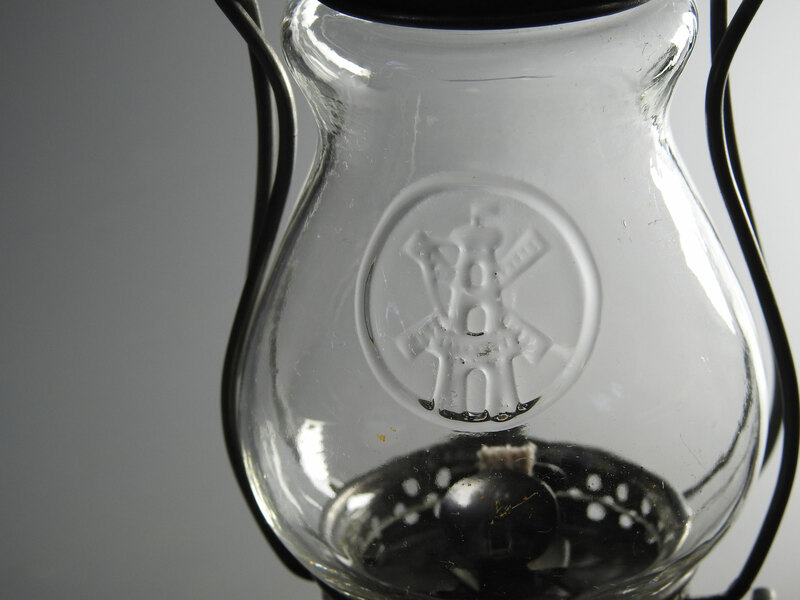 This is a production mistake and it is of the opinion that Otto Müller wanted to make his own lamps, but the 'stamp' itself was not replaced. 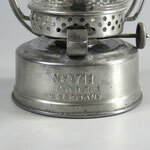 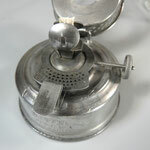 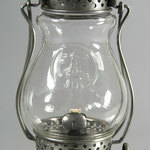 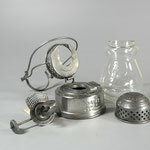 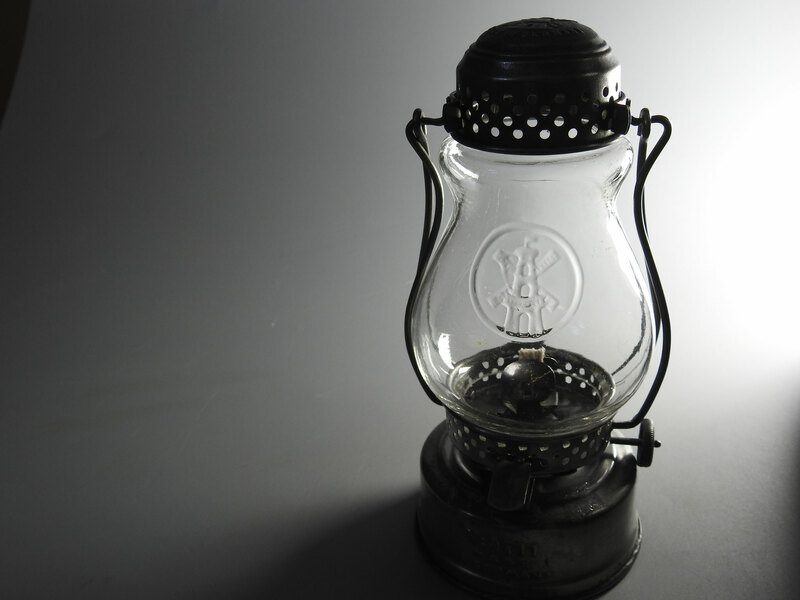 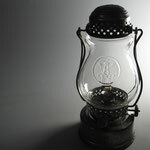 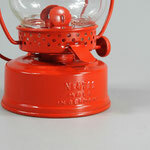 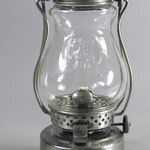 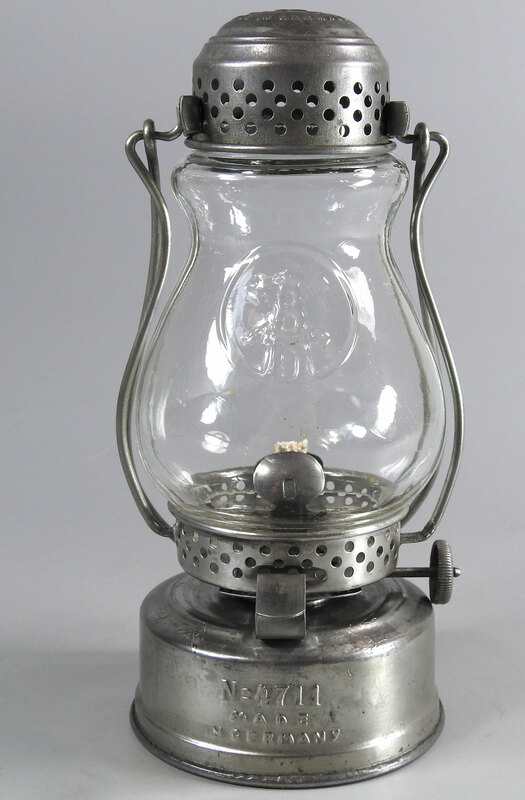 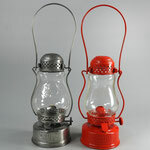 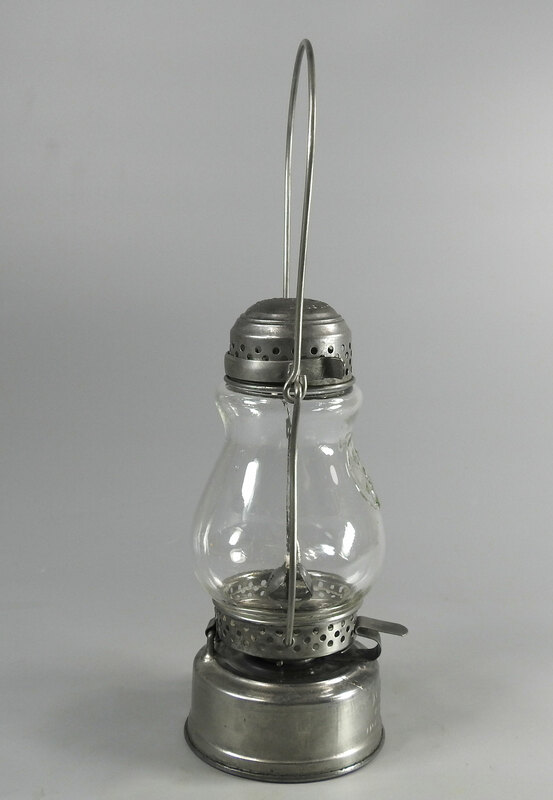 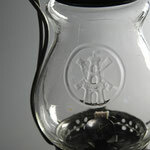 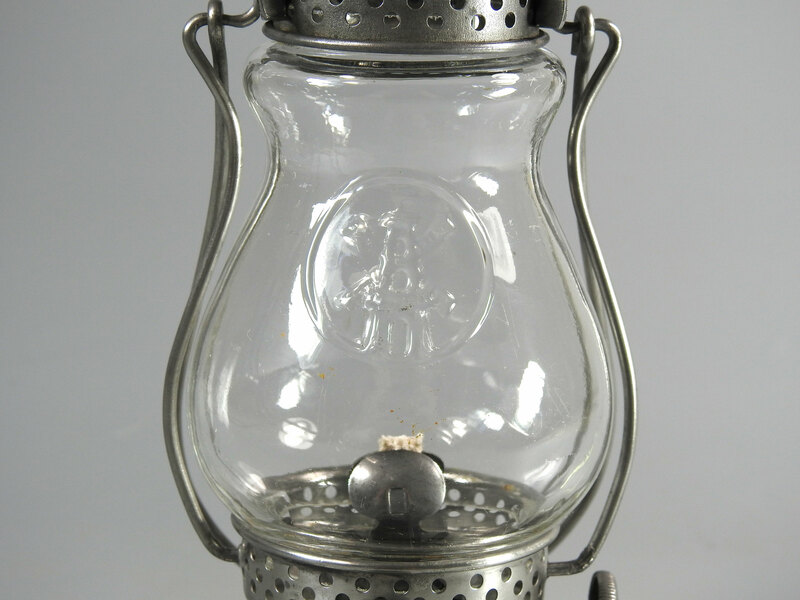 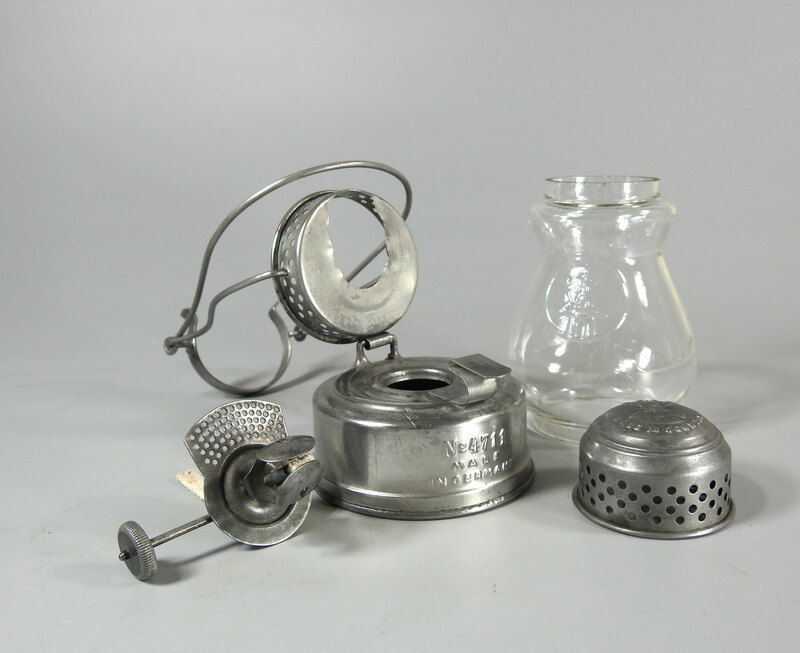 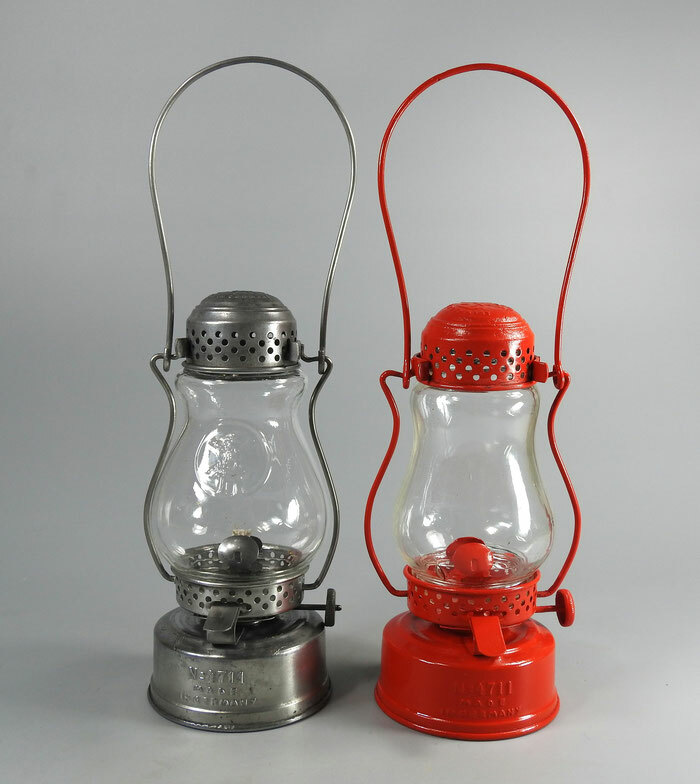 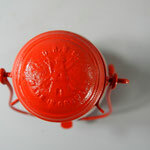 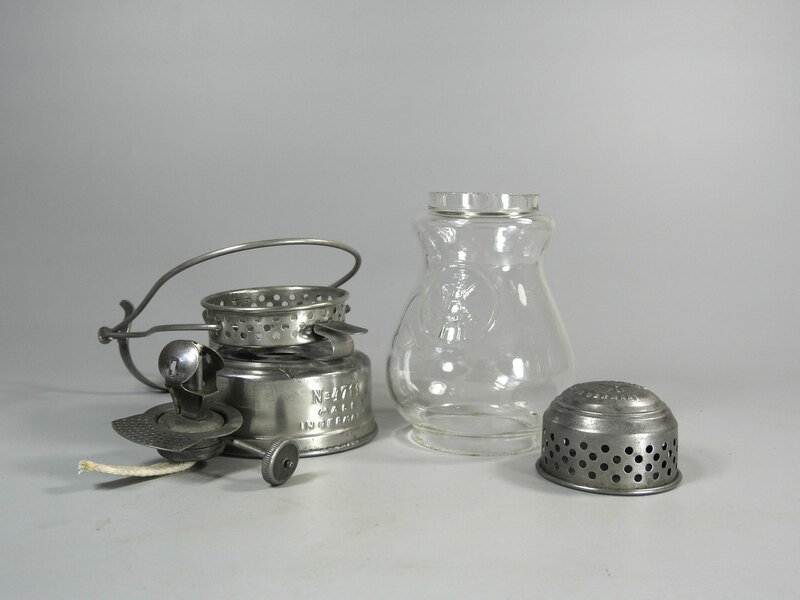 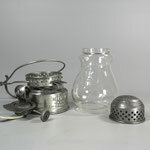 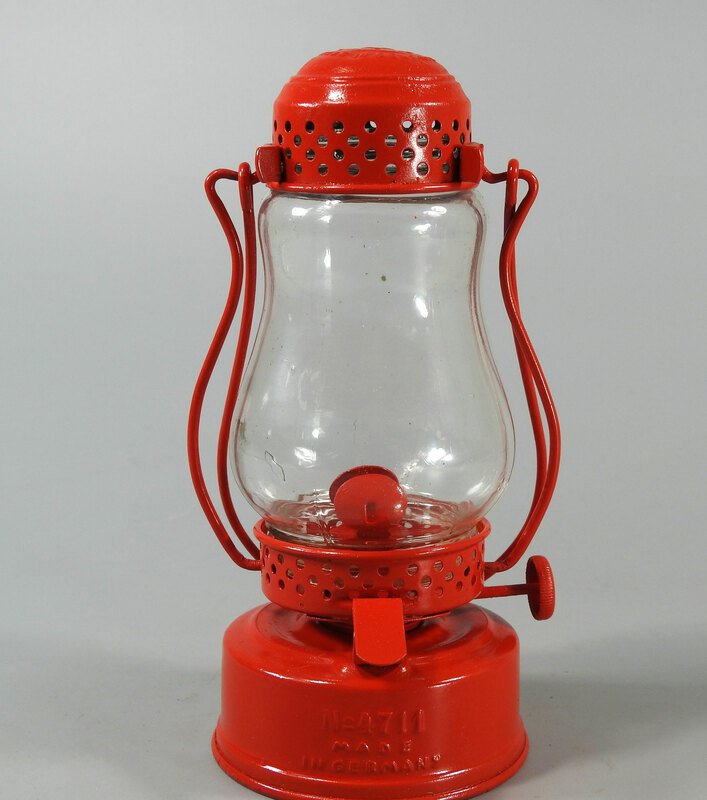 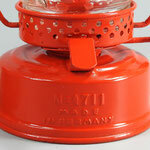 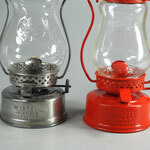 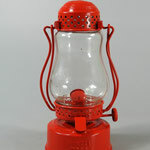 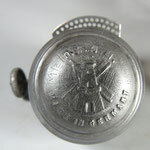 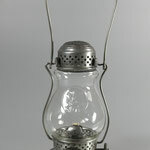 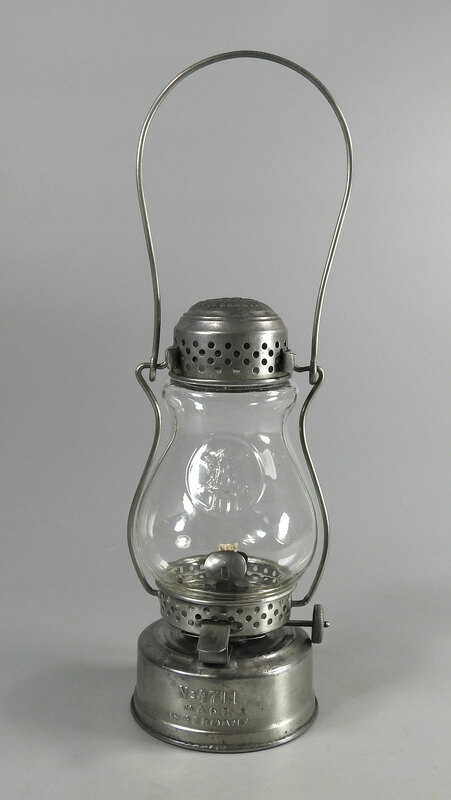 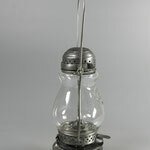 Meaning, the top cap of the lamp for Otto Müller ended up being made out of tin that had already been stamped for use by Carl Meyer (Camerco). 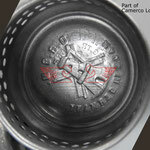 Camerco has a very fine stamping while Müller has an intense stamping. 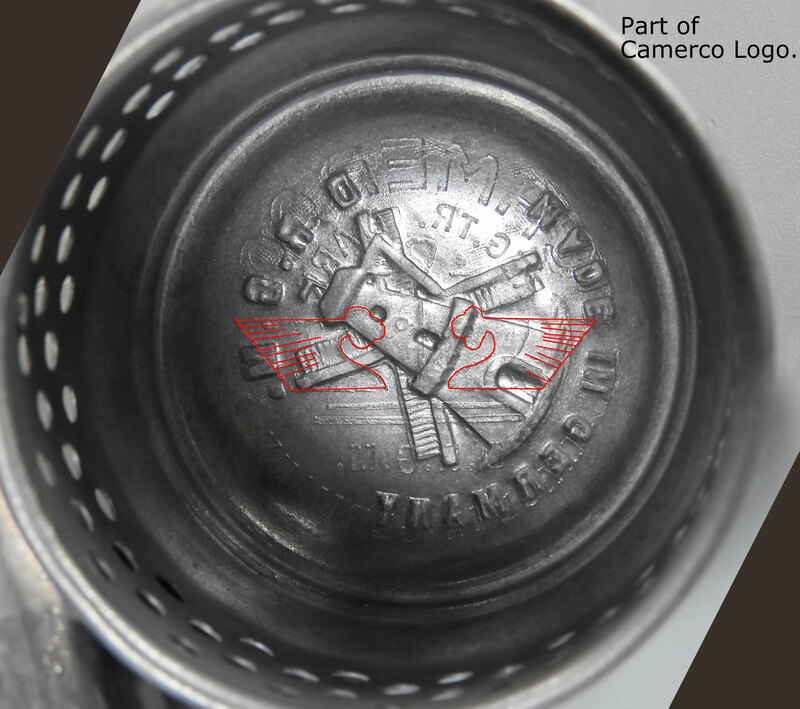 Therefore, it was 'easy' to 'over stamp' the Camerco logo. 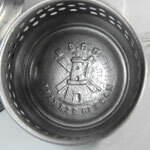 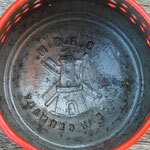 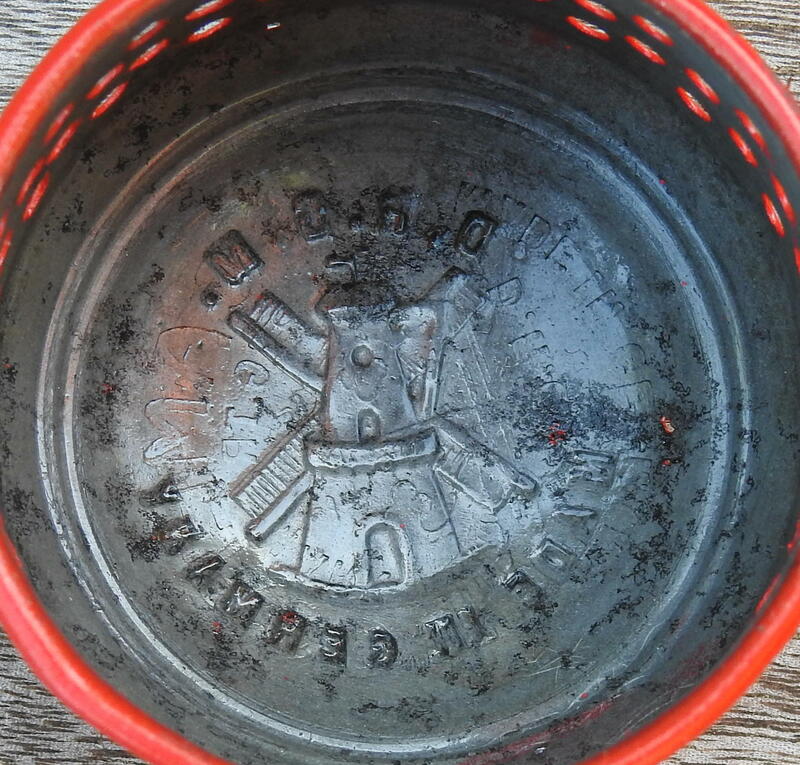 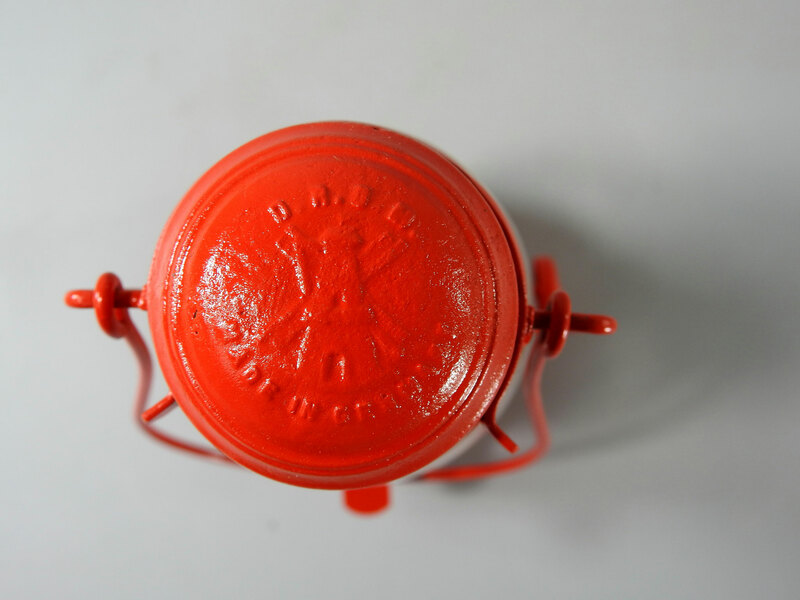 On the outside top of the cap, it has D.R.G.M (Windmill) Made in Germany. 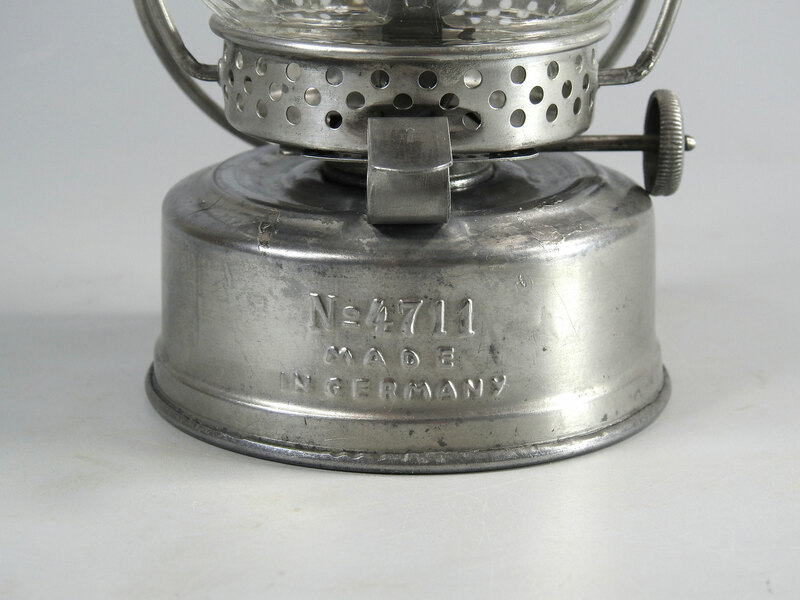 On the front of the fuel fount, it has 4711 - Made in Germany. 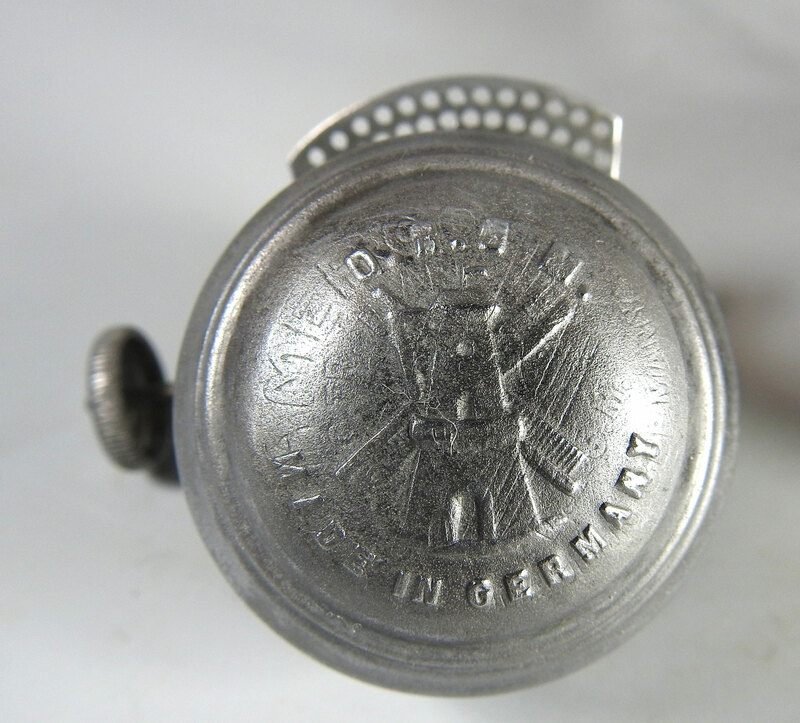 4711 is a traditional German Eau de Cologne by Mäurer & Wirtz. 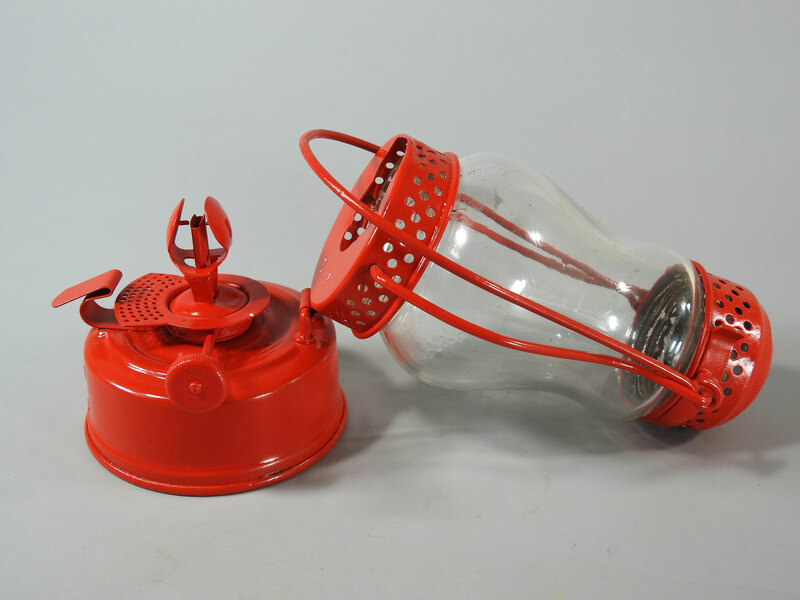 The lamp was possibly a promotional item for this company. 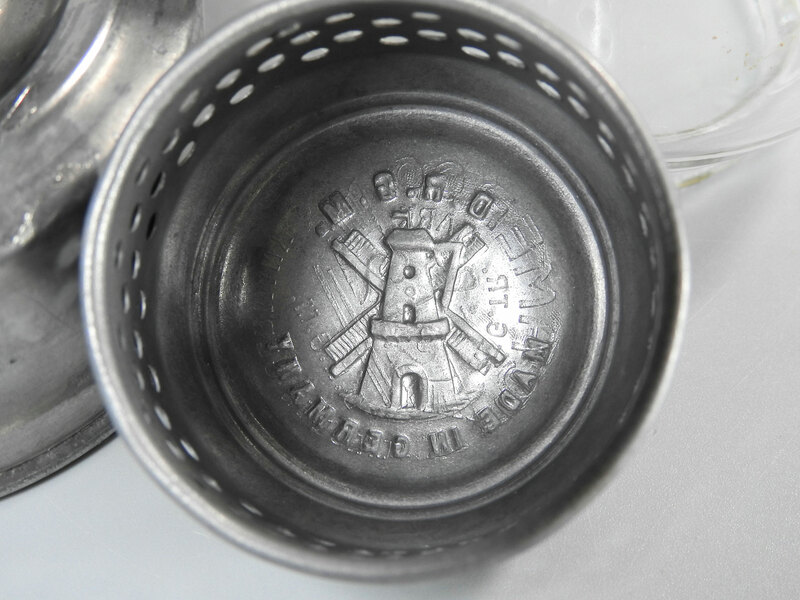 The embossed globe on the left has the Otto Müller 'Windmill' logo. 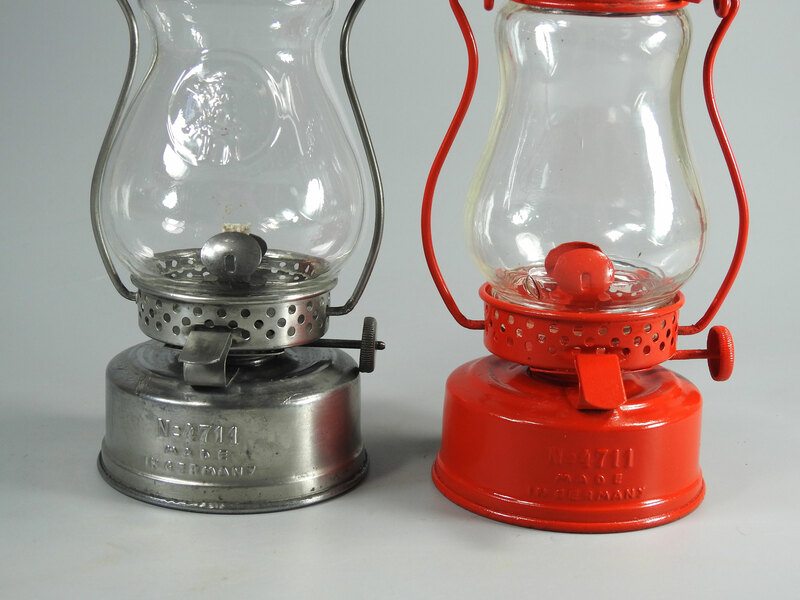 The globe on the right is clear.